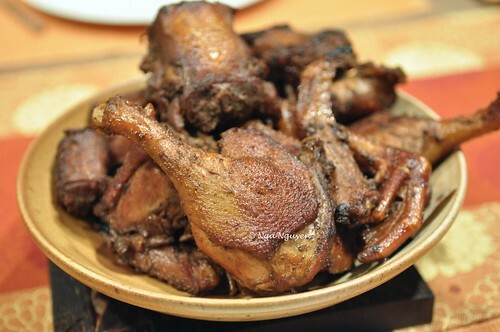 Duck simmered with coconut juice – Come on in, I hope you are hungry! Come on in, I hope you are hungry! 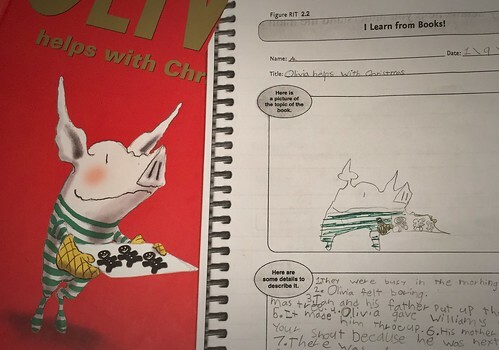 6-year-old’s homework: Draw and summarize her favorite book. I’m trying to be totally unbiased here: This is the BEST portrait of Olivia in the history of art!!!! Chop duck into large pieces. Marinate duck with all ingredients except coconut juice. Set aside for at least 2 hours. Heat a large skillet under high heat. Place duck, skin-side down, and cook for a few minutes, until skin is crispy. Toss until all sides are seared. After the juice boils, turn heat to medium. Let duck simmer in coconut juice until water evaporates. Make sure to stir frequently.